If you’re over 50 you may not have sold a home within a few years and could use some expert tips on what you need to do to get it ready to show. 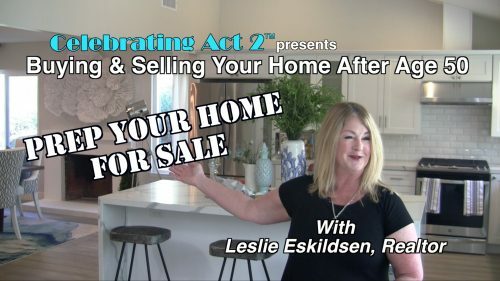 Experienced SoCal realtor, Leslie Eskildsen has good advice for you on the most important things you can do to prepare your home for sale. This advice will help you get the best price and the fastest sale!